Leading Uninterruptible Power Supply (UPS) manufacturer, CENTIEL, has confirmed it has a growing global installed base of its three-phase, modular UPS system, CumulusPower. Launched for the first time in the UK just over a year ago, CumulusPower known for its “9 nines” system availability and low total cost of ownership, has now been installed in datacenters and comms rooms in over 60 countries across 5 continents. More than 50 MW of critical power loads are now protected with CumulusPower in locations across the world including: the UK, Singapore, Australia, Germany, Spain and the Czech Republic. 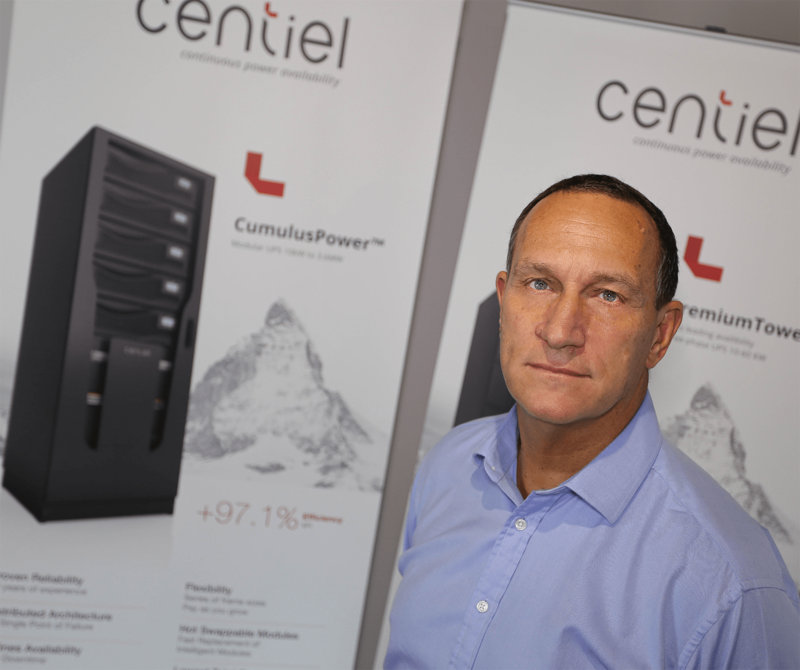 Mike Elms, sales and marketing director, CENTIEL UK Ltd explains: “Although a relatively new company, CENTIEL is a Swiss-based UPS manufacturer whose team of designers have experience that covers the last four decades. They were responsible for the design of the world’s first three phase transformerless UPS and the world’s first three phase modular UPS. “As a result, the introduction of our 4th generation UPS CumulusPower to the market place has been met with unprecedented enthusiasm on an industry wide basis,” continues Elms. “The main benefit clients are seeing is the system’s class-leading system availability of 99.9999999%. CumulusPower has been developed with a unique Intelligent Module Technology (IMT), with a fault-tolerant parallel Distributed Active Redundant Architecture (DARA). The excellence in system availability is achieved through fully independent and self-isolating intelligent modules – each with individual power units, intelligence (CPU and communication logic), static bypass, control, display and battery. “In addition, the solution has been designed to reduce the total cost of ownership through low losses: the high double conversion efﬁciency of 97% at the module level means it is currently the best solution available to protect data centre infrastructure as its configuration also reduces downtime risk, avoiding costly errors as well as increasing energy efficiency. “Our most popular frame is the CP100 which incorporates not only the UPS modules themselves but also the internal batteries providing 10 minutes run-time. Space can be saved as the need for external batteries is negated. For larger datacenters the 10x60kW modules enabling a configuration up to 540 kW N+1 provides the largest single modular frame size for a UPS on the market.